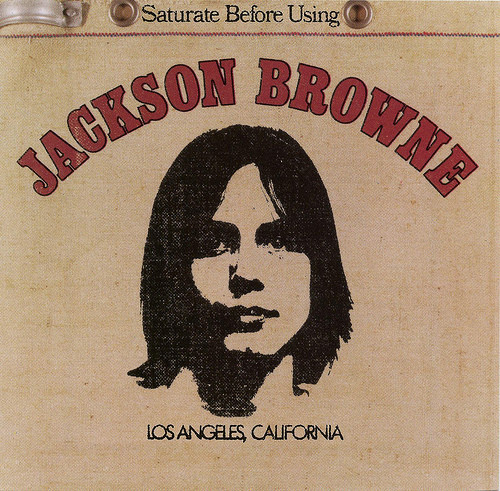 This, Jackson Browne’s debut album, shows the huge potential that would give us such great music and lyrics for many years to come. Released in 1971, it really was quite lyrically and atmospherically advanced. The first three tracks are all quite laid-back and beautiful - “Jamaica Say You Will”, “A Child In These Hills” and the mournful “Song For Adam” which shows a sensitivity and maturity that belies his tender years. Not too many other artists were producing this sort of thing in 1971. Then, fourth up, comes the piano that would drive so many of Browne’s music in future years in the jaunty “Doctor My Eyes”. This was taken into the charts in 1973 by The Jackson 5. Great drum, percussion and guitar fade out too. Then it is reflective time again with one of the album’s best ones, “From Silver Lake”. Just lovely. Why Browne has never been given more credit is difficult to understand. “Something Fine” continues in a similar contemplative vein. “Under The Falling Sky” has a few breaks of early 70s style congas coupled with upbeat acoustic guitars. One can see how songs like this would, six or seven years later be given a full band, piano, guitar and drums treatment like on “The Pretender”. Here, they just feel slightly like a “work in progress”. “Looking Into You” has the same feel. They do have a kind of naive charm. A genius in waiting, “Rock Me On The Water” is glorious proof of that claim. It would sound good on any album. Jackson always comes up with one real killer on each album. This is the one here. “My Opening Farewell” is a suitably low key goodbye to this partly low key first outing. There was more to come, far more.